Georgian Chapel with planning permission to convert to a modern four bedroom home. Very rarely available and once in a life time opportunity to acquire a landmark Grade II former Chapel in the historic market town of Harleston. Dating back to 1819 and designed by the acclaimed architect Edward Boardman. The unique building is being sold freehold, giving the new owner a blank canvas to create their own Grand Design. Recently granted full planning permission to convert the Chapel into a stunning modern home. The Architects designs create 3,278sqft/305.56sqm of internal space, with four double bedrooms with en-suite bathrooms, impressive open plan reception/kitchen/dining room with outstanding ceiling heights, media-room, study, utility room, spacious courtyard garden and parking. Offers are invited for the freehold interest with vacant possession upon completion. Proof of funding is requested with all formal offers. The vendor reserves the right not to accept the highest or any offer received. 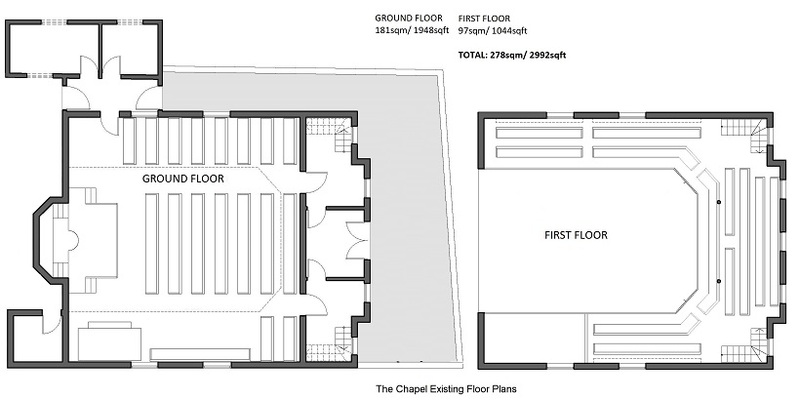 The Chapel is not assessed for Rates and because of the Grade II Listing an EPC is not required.